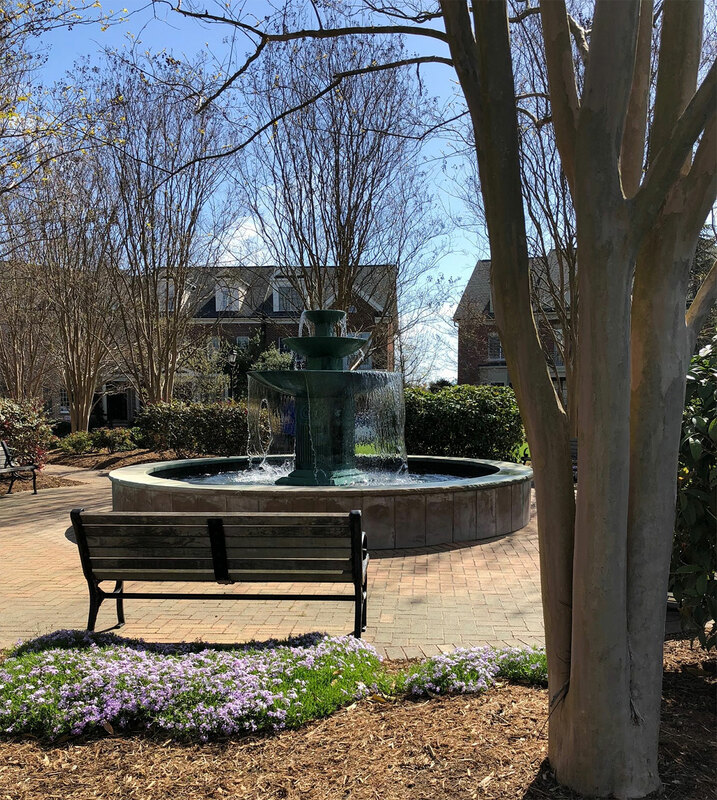 Photos of the fountain in front of our home in Chapel Hill, NC by Penny Showalter. My eyes are not what they used to be. Are the flowers forget-me-nots? Imagining the sounds.